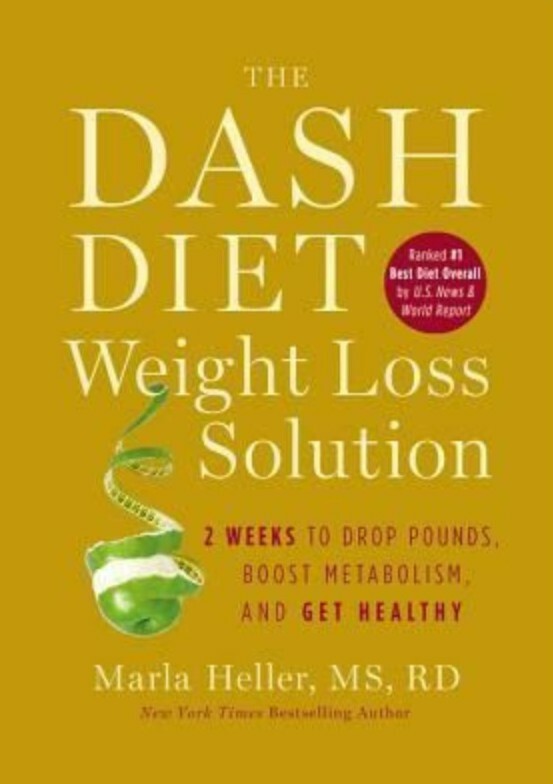 I just finished reading the book entitled, “The DASH DIET Weight Loss Solution” by Marla Heller, MS, RD and I must say that I’m absolutely impressed. The author, Martha Heller, a registered dietician in private practice and at a naval hospital outpatient nutrition clinic, provides a simple step-by-step 2 week plan for losing 10 lbs. She ensures that you will not only reduce your weight, but improve your overall health. My interest was spurred to read this book after my mother challenged me to start adding book reviews to my blog. I’m grateful for her suggestion because I thoroughly enjoyed this book. Furthermore, my interest was sparked because the author stated, “You can lose 10 lbs in 2 weeks.” She provided valuable research based findings on combating heart disease and diabetes as well. The DASH DIET Weight Loss Solution will ultimately help reduce your weight, lower your blood pressure, lower cholesterol levels and reduce risks of developing diabetes or kidney stones. As I paged through the 2 week plan and recipes that the author included, I realized that this was something that I could do successfully. Mostly because it includes meals and snacks that I normally eat on a regular basis. It doesn’t list those foods that I normally will not enjoy eating and leave me feeling like I’m starving. So, forget about the junk food, refined grains and overeating. These will just make you stay hungry, crave the unhealthy foods and keep excess weight on your body. healthy fats (e.g. nuts) they help keep you sustained especially in the late afternoons right before dinner. I now enjoy grocery shopping, reading labels and of course my all time favorite thing to do, COOKING! I enjoy planning my meals followed by meal preparation for the entire week. I recommend that you download this book or purchase it at your local bookstore. You won’t be disappointed! I finished reading this book in 2 days so that’s an indication that you won’t be able to put it down once you pick it up.